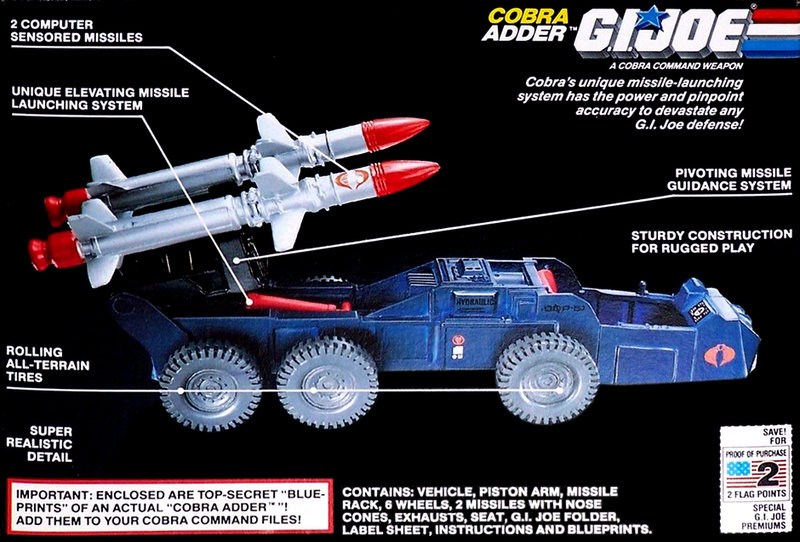 Cobra Adder courtesy of the Yo Joe Outlet. Please visit them on eBay. 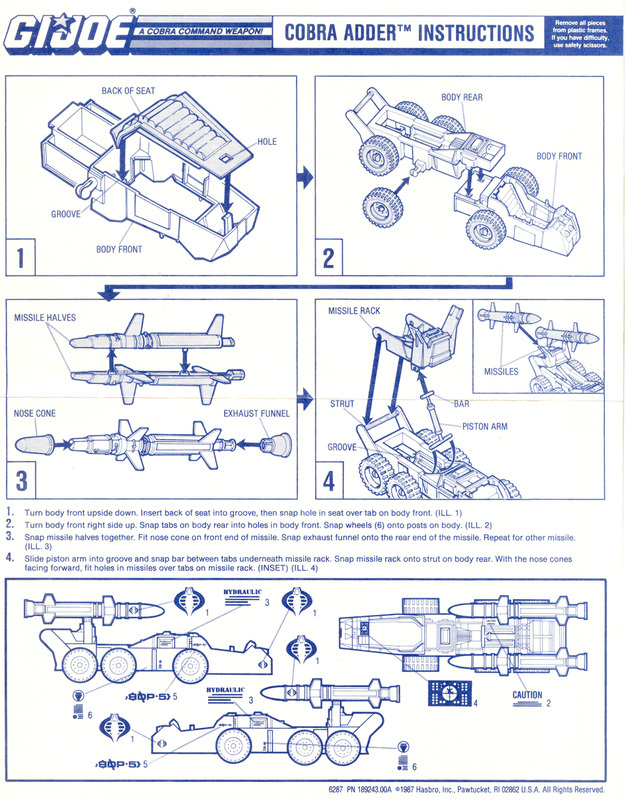 The Cobra Adder's "unique elevating missile launching system" rises from horizontal to vertical, quite odd for surface to surface missiles. 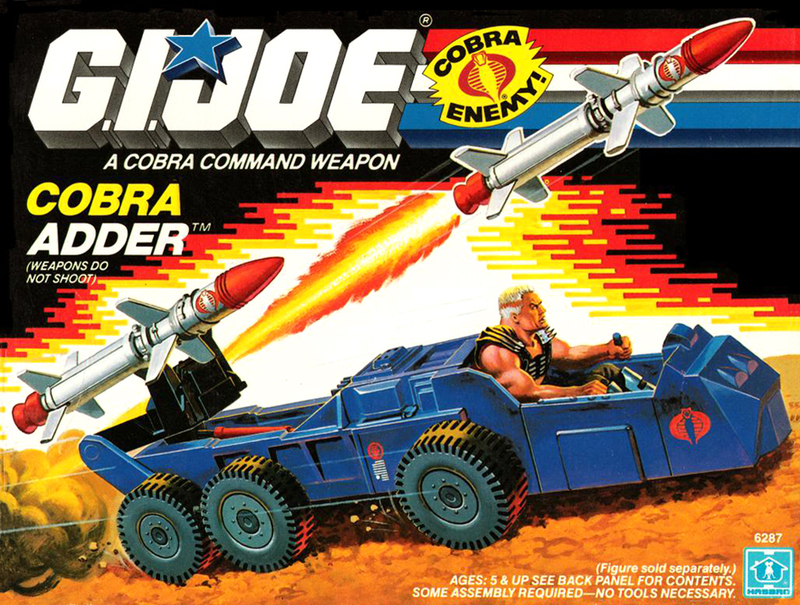 NOTE: Although the box art showed Road Pig manning the Adder, and he's pictured above, Road Pig did NOT come with the Adder. 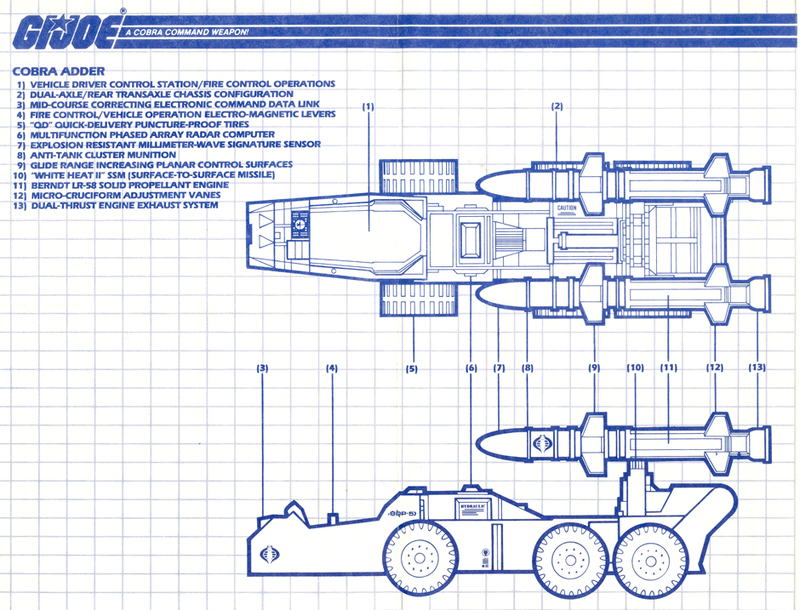 Cobra Adder blueprint/instructions courtesy of Tim Dz.